As nu-metal neared its expiration date in the early '00s, Coal Chamber singer Dez Fafara decided to jump ship. So he started throwing barbecues in Santa Monica, inviting local musicians and jamming with them. 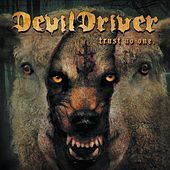 The result was DevilDriver, a five-piece outfit who doesn't exactly play the sort of music you'd associate with grilling burgers under the warm California sun. Their specialty is moshpit metalcore, made for starting fights in the dark; it's clearly death-metal-descended but frequently classified as "groove metal" for the underlying rumble that drummer John Boecklin says he learned from rhythm-obsessed bands like Ministry and Primus. 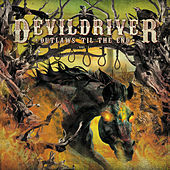 DevilDriver formed in 2002, put out their first album in 2003, and have released an album every two years on Roadrunner Records ever since. Each one, for the most part, has attained a higher profile than its predecessor -- a growth curve owed in part to the band's appearance at assorted festivals (Ozzfest, Donington, Soundwave) and in part to their songs showing up on the Resident Evil: Apocalypse soundtrack, in TV's Scrubs and in the video game Rock Band.